Helen Manchester has a strong track record and reputation as an educational researcher and lecturer in the field of digital and material cultures, futures and learning across the lifecourse. She is also known for her work in arts based learning concerning youth voice, creativity and school ethos. Helen has conducted a number of innovative qualitative studies employing ethnographic and multi-modal research methods. She is particularly interested in continuing to develop and manage participatory research projects with young people, older people, and community and cultural organisations. She has worked with many community and cultural organisations conducting participatory research and capacity building work. She also has experience of working with interdisciplinary teams including technologists, artists and educators. Helen is currently developing her existing work in the broad area of learning lives, particularly as it intersects with the role of digital and material cultures, future technologies, our digital footprint and data visualisation in cultural and everyday spaces. She currently has two AHRC grants to pursue her research interests further. Research funded by the Arts and Humanities Research Council (AHRC) will feature at this year’s V&A Digital Design Weekend. 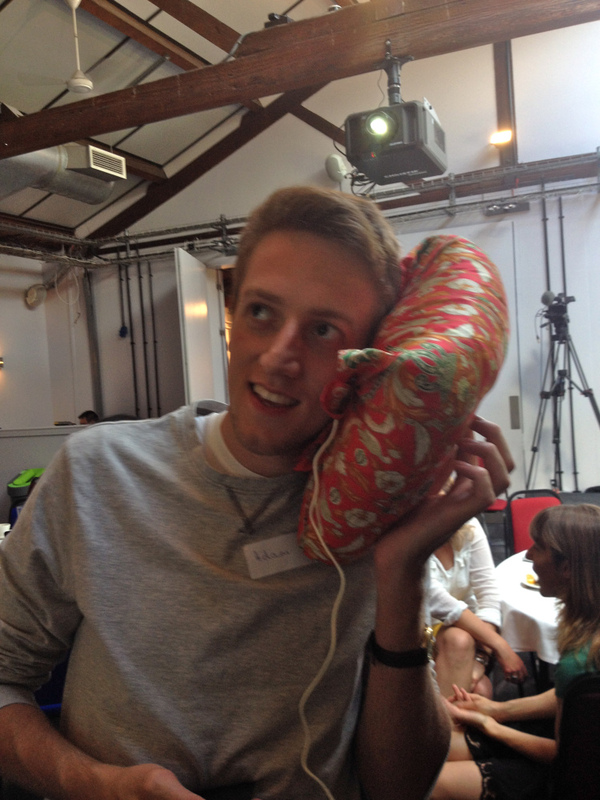 The Digital Design weekend, Saturday 26 September 2015 and Sunday 27 September 2015, is a series of special events celebrating contemporary digital art and design, including interactive installations, demonstrations of robotics, tinkering and inventive electronics, workshops, family activities and more. The Digital Design Weekend coincides with the London Design Festival at the V&A (19 – 27 September 2015). The London Design Festival is a nine day festival of contemporary design that celebrates London as the creative capital of the world. All the AHRC projects that are being showcased at the event are funded under the AHRC’s Capital Call which sought explore the creative capacities of communities. The call, from 2013, aimed to harness the transformative power of digital technologies to stimulate innovative engagements and research co-production between communities and researchers. Explorations in open access community storytelling and the digital archive. Multimedia artwork developed during a series of interventions with leading digital artists from across Latin America who engage with cityscapes. A drawing robot reproduces margin notes from the Bloodaxe Archive of contemporary poetry. Untold stories of the people who lived and worked in former industrial buildings in the East Midlands: Leicester’s Cultural Quarter and Glossop, a mill town in North Derbyshire. A publication supported by AHRC and including contributions from participating artists, designers and scientists will be distributed free during the event. 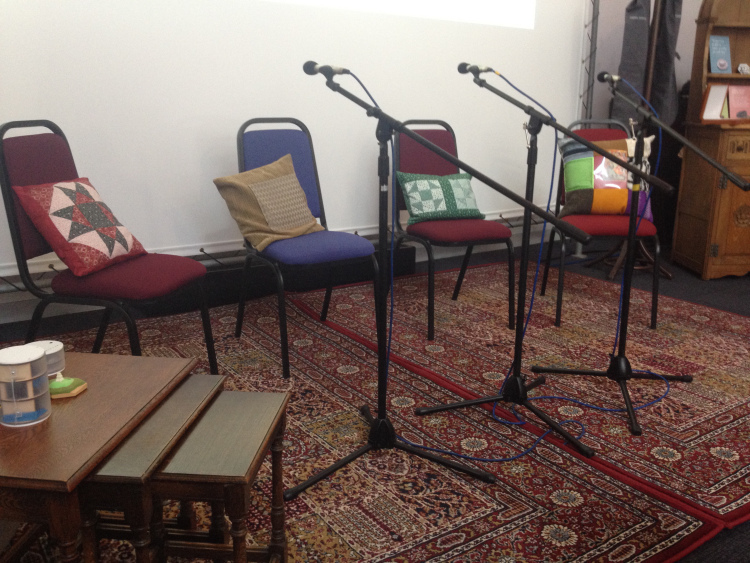 Our film summing up the project is now uploaded onto the AHRC YouTube Channel. Please do have a look and let us know what you think. Thanks Sam for this great job – drawn on the day. With thanks to Nigel Pugh (photographer extraordinaire) for taking a photograph of it! 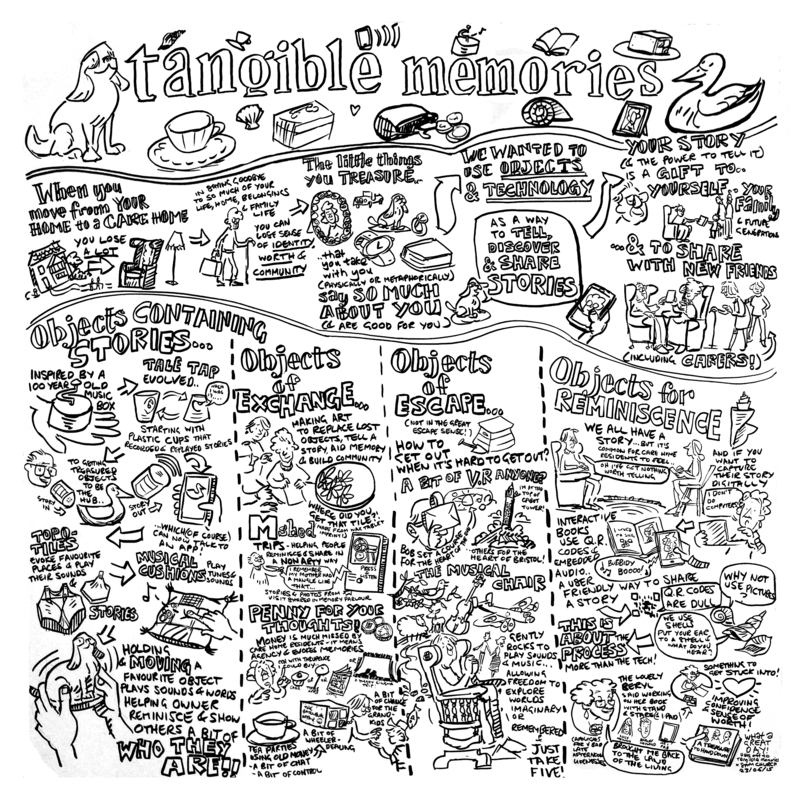 On 23 June I was lucky enough to be involved in the end of project conference or, more accurately, celebration for the Tangible Memories project at the University of Bristol. Most big projects which are funded by the big, official research councils, which are Government funding bodies, insist on a big day at the end when you tell the world about what you have been doing and how it will change the world. This project was run by Helen Manchester, who works in the Graduate School of Education at Bristol, and her lovely team, Pete and Seana. The aim of the project is to design technology, or uses for existing technology to make life easier for older people. The idea is create opportunities for conversations between the residents in care homes, their carers, their relatives and each other, and to work with people with advanced dementia on memory projects. The memory work also helps older people to overcome feelings of unworthiness and being invisible. The quilters, of course, rose to the occasion magnificently, making prototypes, and on the day, showing people a variety of techniques to personalise their cushions. I found myself needing to rustle up three cushions before the day with very little time as I had had a fantastic weekend with my Danish family and hadn’t had an opportunity to make anything. I had a flash of inspiration and came up with a no-sew cushion, which I think I must have seen in a magazine somewhere. So, I glued on the pocket for the technology with a hot-glue gun, and then wrapped the pad in a vintage silk scarf which I knotted on the front. They look surprisingly good. I had been saving the scarves to make a shower curtain, and they had brilliant seventies designs and were mostly pure silk and so they looked rather sumptuous. I thought you could probably use a favourite scarf of the person you were making it for, and you could change it according to the season. I might hunt out some more and make some for myself. They are surprisingly cheap and easy to come by. One of the exercises we did on the day was to think about the sort of care home we would like to have ourselves. It’s quite hard to think about this, but it did make me think what I would want. One of the themes of the day was loss – which objects do you choose to take with you and which do you choose to leave behind? 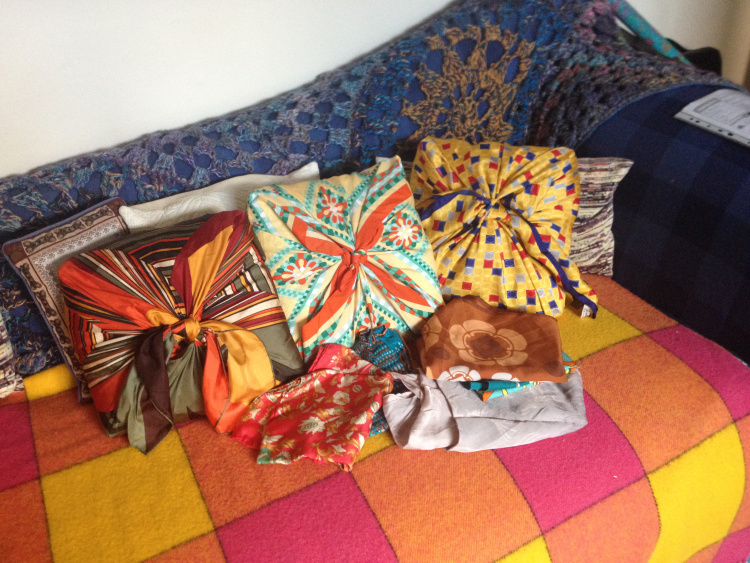 Out of all this, I realised the importance of stash, space and studio. I would hate to have to leave my collections of things behind: fabric, beads, books, sketchbooks, sewing machines, art materials, dolls, pens… I like having the contacts and the networks I have – my personal space in which I can make things with a certain ease. I also love having a dedicated space to do my work in – especially since the big clear-up. I couldn’t bear the thought of giving up all this to sit round watching endless game shows on the tv. 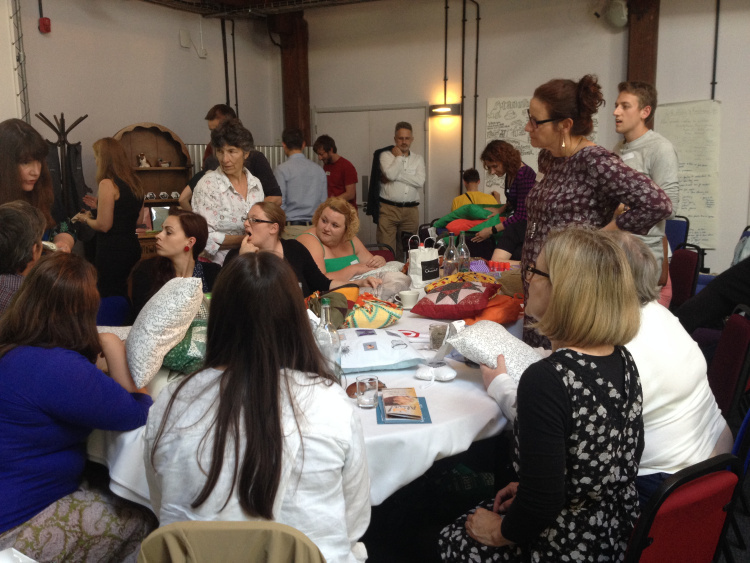 So, I enjoyed watching everyone pile in for the making session, and I really loved playing with the technology, including the virtual reality headsets, but a main and unexpected outcome for me was realising what I have and what I would miss. What role for care staff? There are many things I’d do differently if I started the Tangible Memories project again tomorrow. Perhaps the most important thing I’d change however would be ensuring that we worked closely with care staff from the beginning. Our ‘gatekeepers’ were often senior managers who agreed to be involved, residents were asked if they wanted to be involved and were free to say no but care staff were never really approached at the beginning. In fact I think our focus on co-designing with residents obscured somewhat the need to work with care staff. Although contracts were signed with each home in which they agreed a member of care staff would be present in each of our sessions due to pressures of work, absent colleagues and issues related to what is considered to be ‘care work’ and what is not this very rarely happened. In the last 6 months or so we’ve really stepped up our work with care home staff and I’ve met with managers frequently to make sure that the technologies we leave with them at the end of the project aren’t left on a shelf gathering dust. There are real challenges for managers in making time for care staff to do the one to one and group work with residents that we’re advocating for. This throws up all kinds of questions about what ‘care’ means and what the expectations are of someone who works as a carer in a residential home for older people. In light of our realization of the importance of involving and working closely with care staff ‘on the ground’ we have been working with Alive! activities to design a process of working alongside care staff to introduce them to one of our prototypes – an app for storytelling. Last week up to 3 members of staff from each of our care homes came down to the university to be introduced to some of the techniques they might use. Today Gill Roberts from Alive! 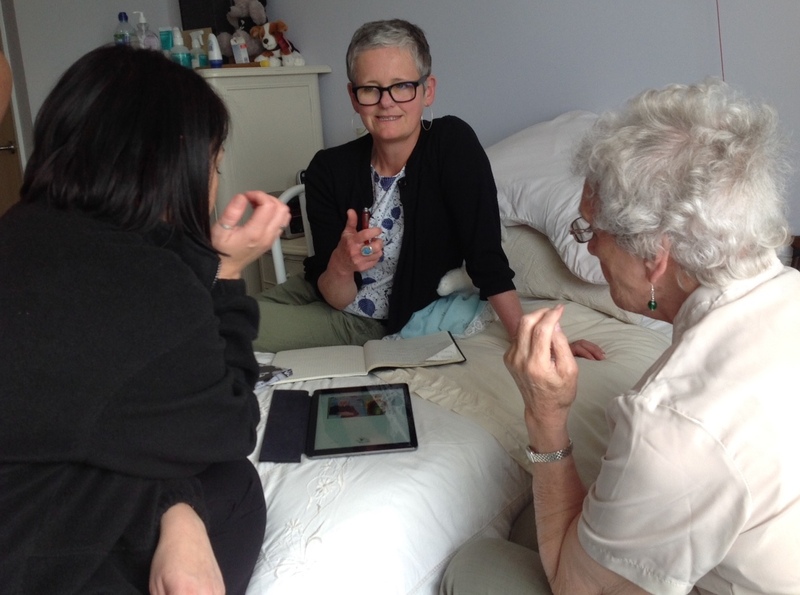 activities and myself visited one of our settings to meet with care staff who had been given an ipad to help us test out our prototype storytelling app. Although the 3 members of staff had gone away from our session at the University fired up and ready to try the app with residents we found when we arrived that they’d not managed to find time to test the app with residents and they’d had various problems with using the ipad as well as with feeling confident enough to approach a resident to ask them to speak about their lives. Challenges were expressed and noted as, for instance: What questions can you ask? How do you invite residents to speak? How do you listen carefully to residents being comfortable with silence and allowing time for thought? How might you enable residents to use the technology themselves if they are able? There is much work to be done here as we approach the end of the grant. Ensuring we do this collaboratively with care staff and residents will be the key to sustainability of the co-designed technologies in the care home settings. Proudly powered by WordPress Theme: Twenty Fourteen Tangible Memories.